Today I removed a plastic card from my wallet! The future is here! Today was momentous for me. And it may soon be for you too! I took my long-standing Starbucks card out of my wallet after 9 years. 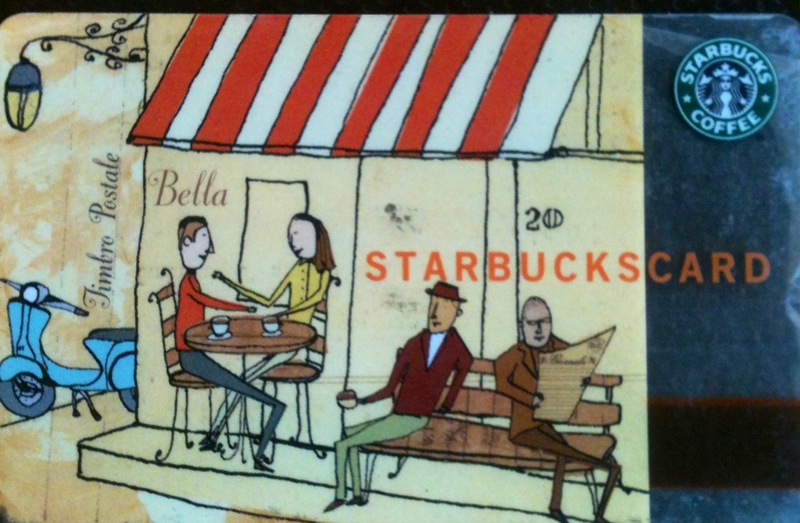 I love my card as it was one of the first cards Starbucks released. But much like any other piece of plastic in my wallet, it is worse of wear. Just like my Mastercard, Bank Card, AirMiles Card, Safeway Card…You get the idea. This, my friends, is the future. All I do to make a purchase is tap the green Touch to Pay button and a funky scrambled code pops up. The machine at the store recognizes it, and the purchase is completed. 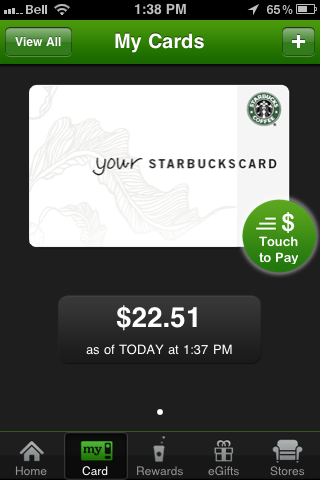 Then, it updates my balance in my Starbucks account. I can even add funds to the account right from within the app using my Mastercard or Paypal account. Pretty soon, companies like Google and Apple or maybe Mastercard and Visa will create a bank app that is widely accepted and works with those laser scanners already in place in most grocery and retail stores.You will no longer have to have all those cards in your wallet! I know there are pilots going on in the US for Google Wallet. I’m just so excited that I now have one less card, and we are moving towards a cardless wallet! Previous PostPrevious The lamest assassination attempt ever. Why even charge the guy?